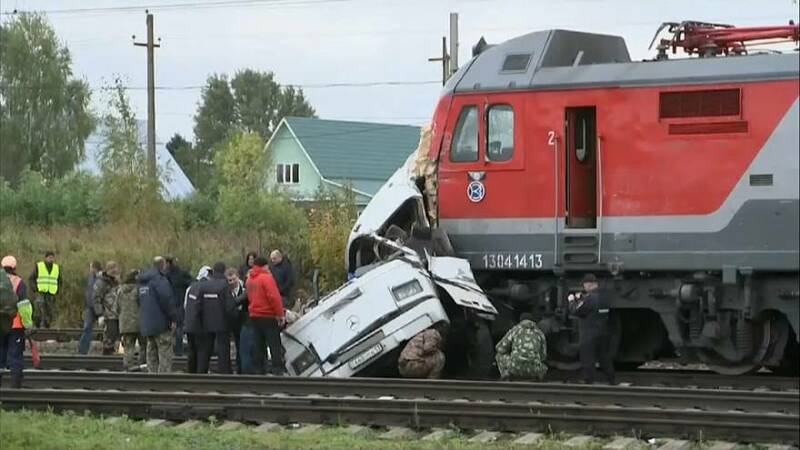 At least nineteen people were killed when a train collided with a bus that had broken down at a level crossing near Moscow. Two children and three adults have been taken to hospital where a team of emergency physicians and pediatric surgeons were treating them. According to reports, the children were critically injured, and the adults were in a grave condition. The Kazakhstan-registered bus had been carrying workers from the former Soviet nation of Uzbekistan. Several passengers on the bus had got off and tried to move it away from the tracks, but they did not move it in time.